The Grade 2 San Felipe Stakes on March 9 is a potential next start for several talented sophomores, including Breeders' Cup Juvenile champion Game Winner and the undefeated Instagrand. 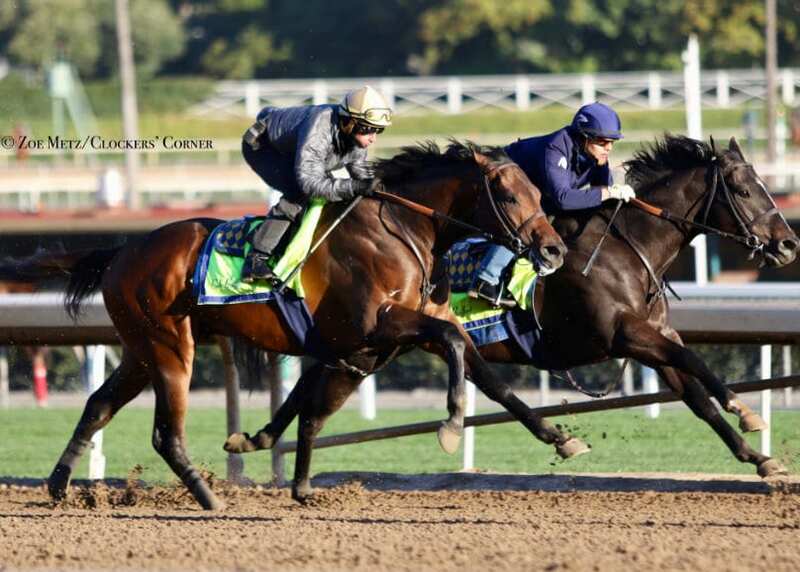 Both colts, as well as fellow-undefeated Derby candidate Improbable, breezed on Friday at Santa Anita. Game Winner (Candy Ride) worked five furlongs in company with stablemate Speed Freak, clocking a time of 1:00.20 for trainer Bob Baffert. Instagrand, trained by Jerry Hollendorfer, is unraced since his runaway victory in the G2 Best Pal Stakes in August. The son of Into Mischief breezed six furlongs from the gate in 1:13.60. Hollendorfer indicated that the San Felipe is a possibility for Instagrand, but said that the colt would be nominated to stakes across the country. Other Baffert trainees Improbable and Chasing Yesterday also worked on Friday, the former clocking six furlongs in 1:15.00 and the half-sister to American Pharoah working six furlongs in 1:13.40. No next start has been indicated for Improbable, and while Chasing Yesterday is reported to be taking the Southern California route to the Kentucky Oaks, no specific race has been named for her next appearance. This entry was posted in NL Article, Triple Crown and tagged Bob Baffert, chasing yesterday, game winner, improbable, instagrand, jerry hollendorfer, road to the kentucky derby, San Felipe Stakes, santa anita, santa anita park by Paulick Report Staff. Bookmark the permalink.